A stunner in the spring! 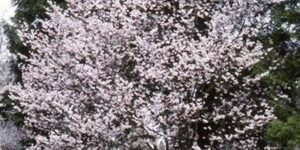 If you’ve ever seen a cherry in full bloom in the spring, you’ll immediately know what we’re talking about when we say that it’s hard to beat it for a stunning springtime show. 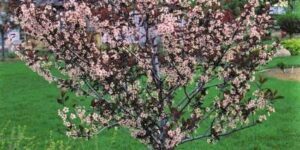 Unfortunately, flowering cherries can get pretty big and many of today’s urban gardeners just don’t have the space for one. 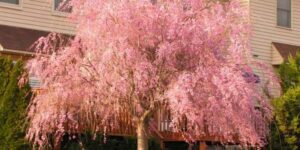 While we can’t help you have the extra space for a full-on flowering cherry tree, we can offer you a pretty spectacular alternative! 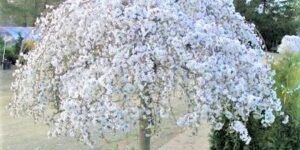 Zuzu Flowering Chery (Prunus incisa ‘Zuzu’) is an ornamental shrubby cherry that is sized just right for you. It only grows 3′ – 5′ tall and wide. 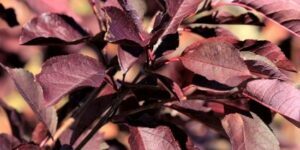 It has dense branching that will give it a full, lush look all year, even when its leaves are gone. But when it is in bloom. wow! Zuzu is a brilliant mass of pink powderpuff flowers that is simply unforgettable. Zuzu is also attractive to bees, butterflies and other pollinators. Your garden will be humming with activity. 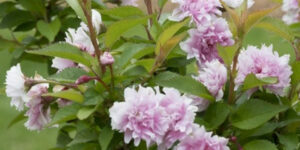 Plant other spring bloomers with Zuzu for a wonderful spring show. It looks especially good with pastel-colored tulips and daffodils at its feet. 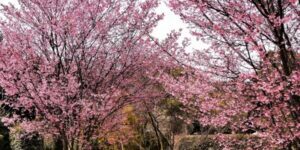 So, your yard can’t be the Washington Tidal Basin with its endless line of century-old cherry trees bursting into bloom each spring. 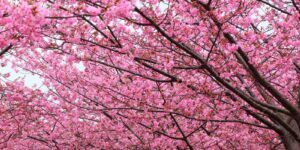 Yours can be the second best cherry blossom show in the country! 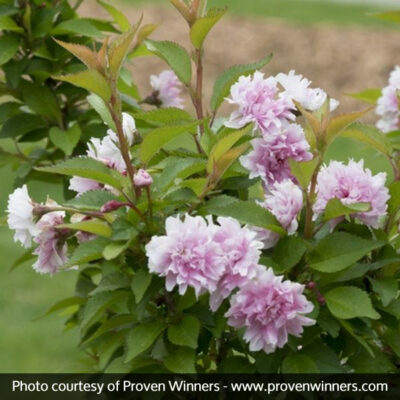 Order you Zuzu Flowering Cherry from us today!